We are less than a month away from World Ostomy Day and with that comes the 2nd Annual WannaWearOne Ostomy AWEARness 5K! And the original race started right here in my backyard in Durham, NC, but this year there are 2 more events in Kingsport, TN, and Portland, OR. This is truly a one-of-a-kind event that is meant to raise awareness for ostomies. It started as a joint event between two of the hospitals in the area where people tried wearing an ostomy bag to learn a little more about what it is like to have one. It has since morphed into a race that raises money that goes towards the UOAA and ostomy awareness and support. Keeping with that theme, one of the unique parts of this race is that all race gear bags come with an ostomy bag. 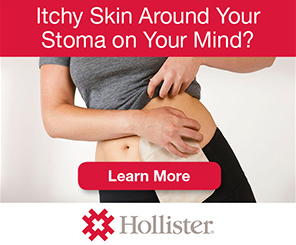 Those without ostomies are encouraged to wear the bag during the race and even have the option of filling the bag with items like applesauce and pudding to give participants a small glimpse into what it feels like to wear an ostomy bag. World Ostomy Day and the race take place on Saturday, October 3. If you are in one of these areas or able to make the trip, you should definitely check it out! But even if you aren’t close or able to travel, you can still be a part of the event by doing the virtual race. I actually did this last year since I happened to be traveling on World Ostomy Day. You simply run on your own, but can still raise awareness, fundraise and support the cause. Here is all the information you need to register. Whether you are able to attend or do the virtual race, you can still be a part of the event. Even if you are unable to run, please consider donating towards the goal of spreading awareness and providing help for those living with an ostomy. 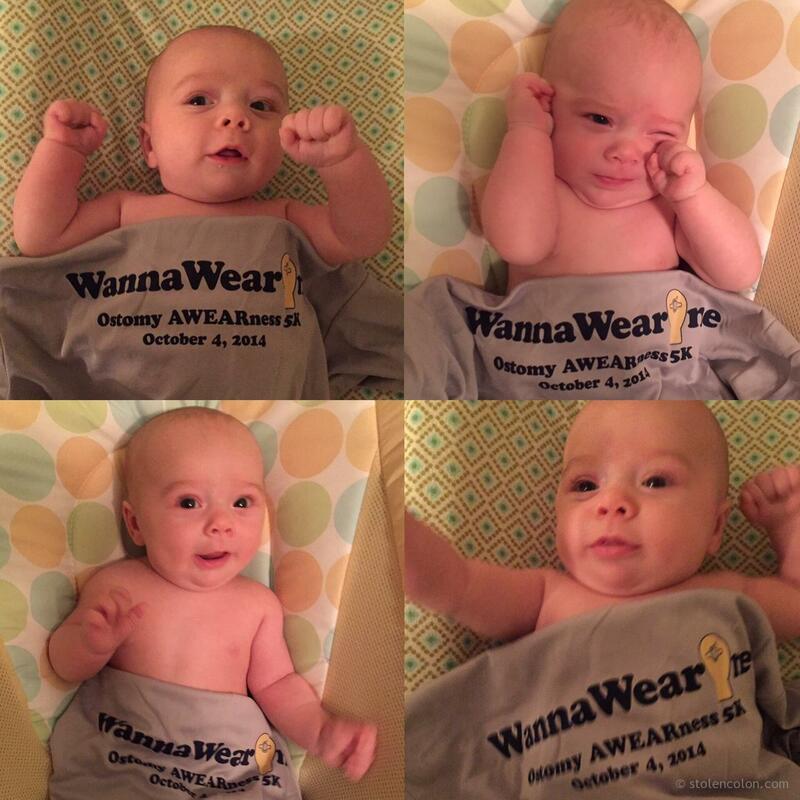 I will be out at the Durham event this year and little Waylon will be supporting the cause, too! We’d love to get to see you. If you have any questions, you can reach out to the coordinators through the website, or feel free to email me and I’ll help however I can. Or you can email me to simply let me know if you’re coming! I hope I get the chance to meet some of you. This entry was posted in Active Ostomy, Ostomy, Stolen Colon and tagged 5K, activism, colectomy, colon, colon bag, exercise, goals, health, IBD, ibd blog, ileostomy, ileostomy bag, ileostomy blog, Ostomy 5K, ostomy bag, ostomy blog, run, stoma, WannaWearOne on September 9, 2015 by Stephanie Hughes.